The new Hero flagship has been launched at an ex-showroom price of Rs 88,000. 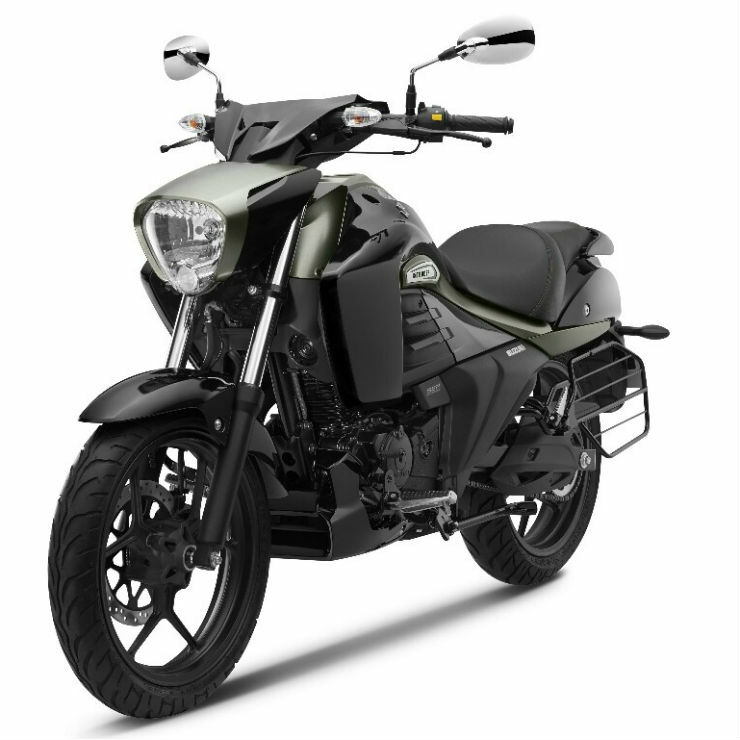 This makes it the most affordable 200cc motorcycle in the country. Moreover, it comes with front and rear disc brakes and ABS as standard. Powering this motorcycle is a 200-cc, single-cylinder, four-stroke, air-cooled engine that has been developed in-house by Hero MotoCorp. The motor produces a maximum power of 18.4 PS along with a peak torque of 171. Nm. The engine comes mated to a 5-speed manual transmission. Another really affordable ABS-equipped motorcycle is the Suzuki Gixxer. 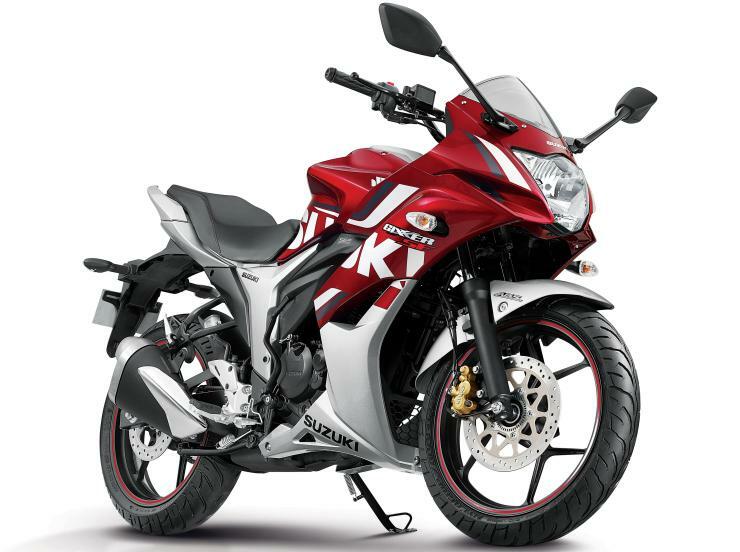 The Gixxer, akin to other ABS-equipped motorcycles in its price range, gets only a single-channel ABS. The Gixxer is powered by a 155cc, single-cylinder engine that offers 14.8 bhp of maximum power and 14 Nm of peak torque. The Suzuki Intruder is the only cruiser motorcycle on this list. The Intruder 150 is basically a mini-me Intruder M1800 that shares its motor with the Gixxer. The Intruder is available with a single-channel ABS as a standard feature. It is on sale in two variants – carbureted and fuel-injected. Akin to the Gixxer, the 155cc motor of the Intruder outputs 14.8 bhp of maximum power and 14 Nm of peak torque. 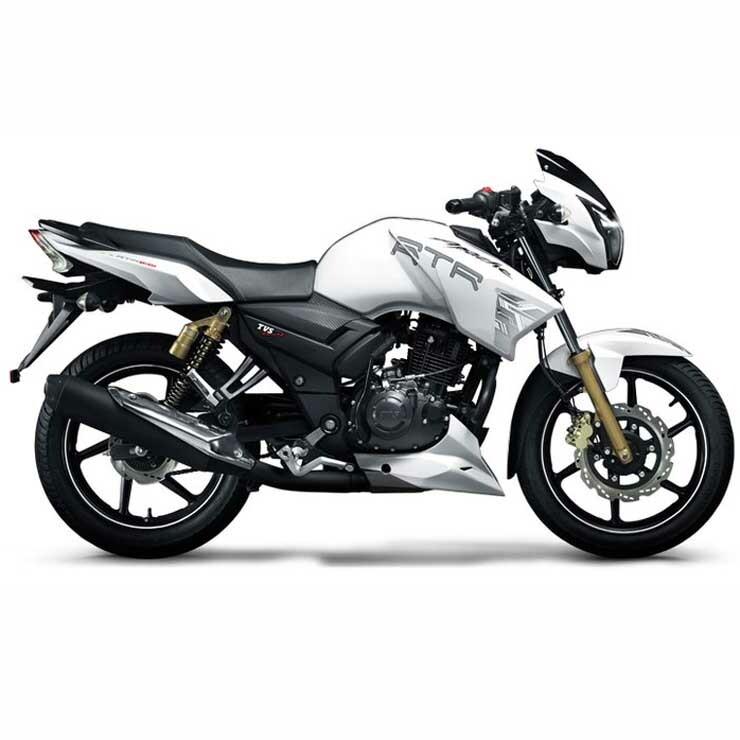 The TVS Apache RTR 180 is the most affordable motorcycle in the country to offer a dual-channel ABS. Powering the RTR 180 is a 177.4cc engine that outputs 16.62 bhp and 15.5 Nm. The RTR 180 is also quite nimble and is quite a hoot to ride. 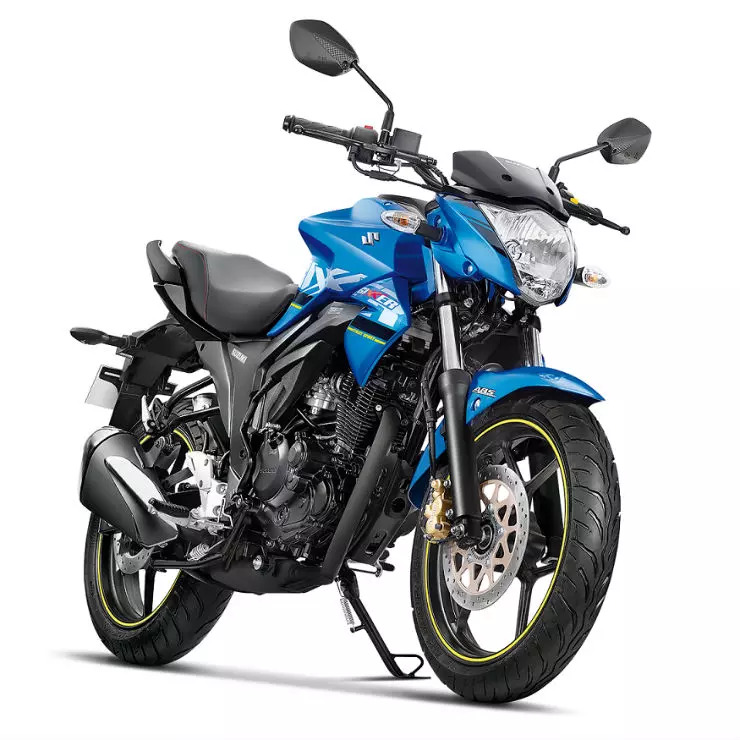 Like the Gixxer 155 and Intruder 150, even the Suzuki Gixxer SF offers a single-channel ABS. 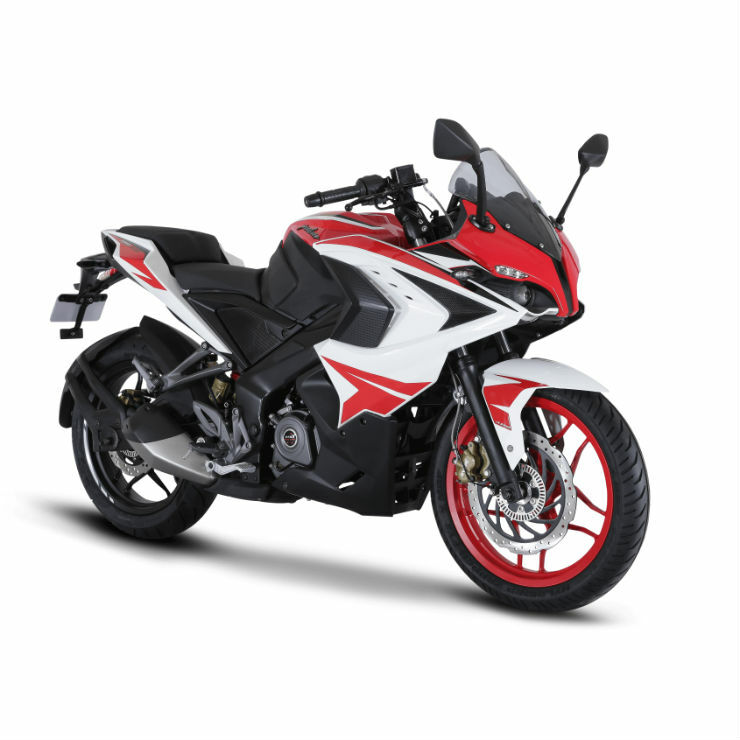 Basically, the Gixxer SF is the fully-faired sibling of the Gixxer 155. It’s powered by the same 155-cc, single-cylinder motor and offers a similar level of refinement. The Gixxer SF is also the least priced fully-faired Indian motorcycle. 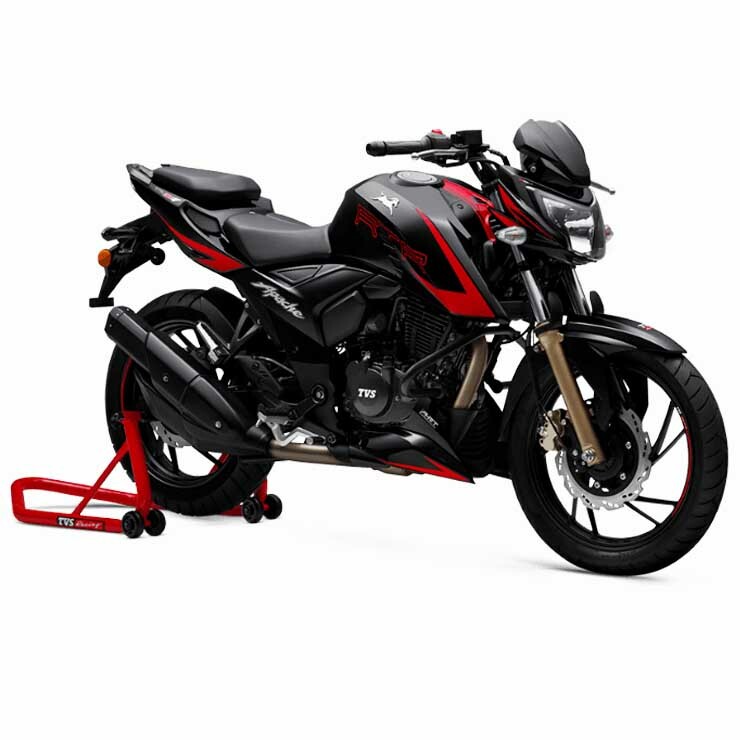 The Honda CB Hornet 160R is a direct rival to the Gixxer 155. Just like its main rival, the Hornet offers a single-channel ABS. Powering the Hornet 160R is a 162.7cc, single-cylinder engine that outputs 15.7 bhp of maximum power and 14.5 Nm of peak torque. 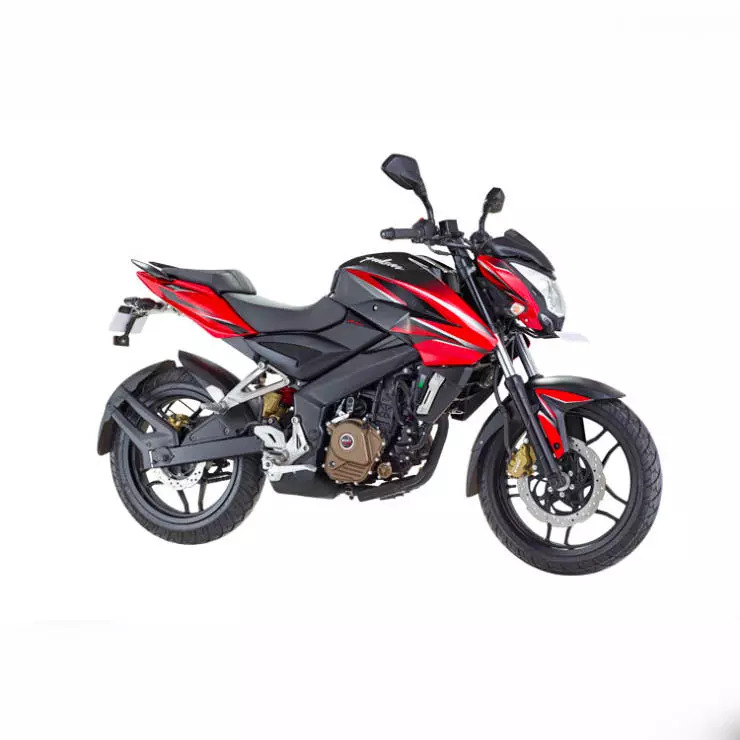 The most affordable Bajaj motorcycle to offer ABS is the Pulsar 200 NS. The 200 NS is powered by a 199.5-cc, liquid-cooled, single-cylinder motor that outputs 23.17 bhp and 18.3 Nm of peak torque. It looks quite muscular and comes with a long list of features. It offers well-sorted dynamics and is easy to maintain. In essence, the RS200 is the fully-faired sibling of the NS 200. However, for the RS200, the 199.5-cc, liquid-cooled, single-cylinder engine offers a maximum power of 24.5 hp along with a peak torque of 18.6 Nm. Like the NS 200, the RS 200 offers a single-channel ABS unit. 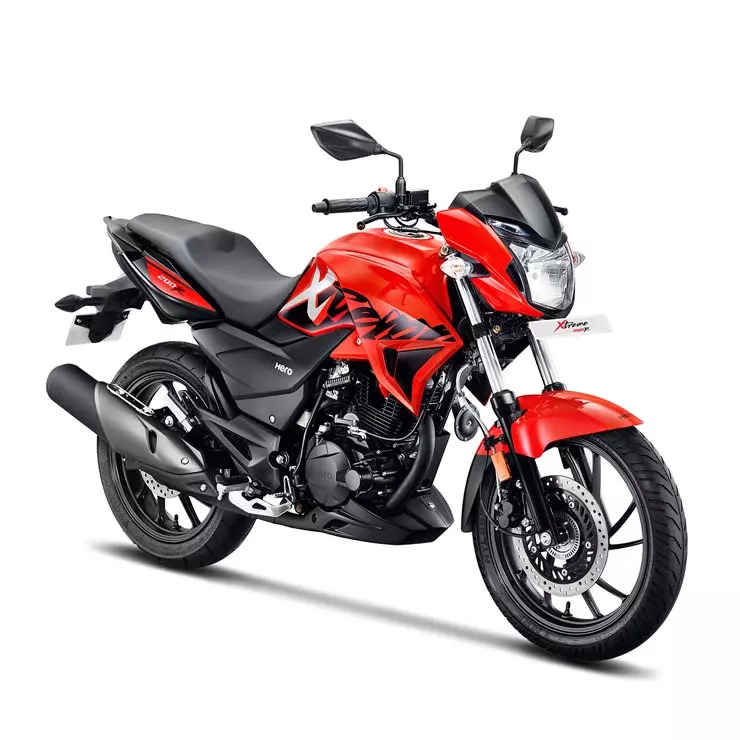 Like the Apache RTR 180, the RTR 200 gets a dual-channel ABS unit that gives this Indian motorcycle an upper hand over the Bajaj Pulsar NS 200. The bike also gets a slipper clutch as standard and sticky Pirelli tires as optional. 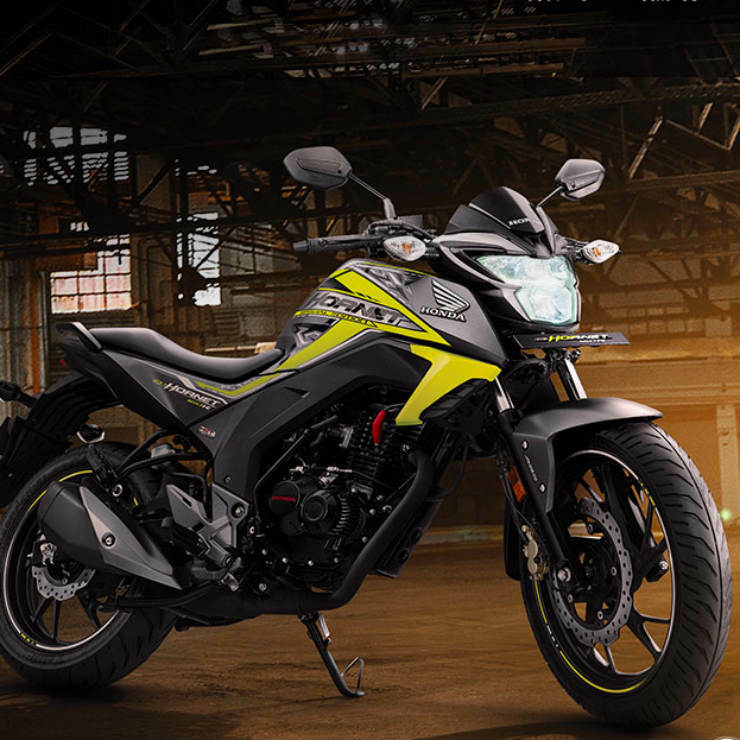 Powering the RTR 200 4V ABS is a 197.75-cc, single-cylinder motor that outputs 20.5 bhp (for the Carburetted version) and 21 bhp (for FI version). It outputs 18.1 Nm of peak torque. The most expensive motorcycle on our list is the Bajaj Dominar 400. 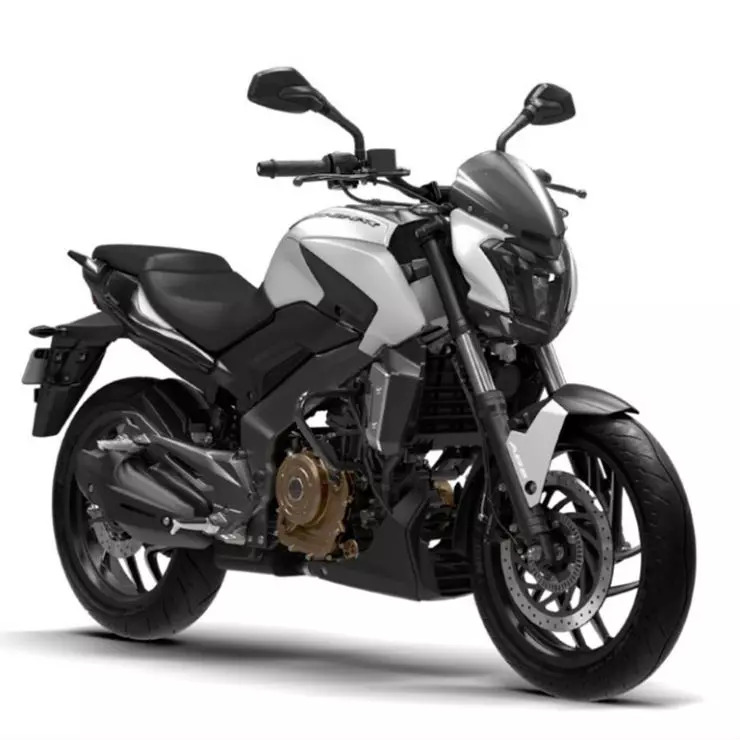 The Dominar is the flagship product from Bajaj Auto Ltd and offers a dual-channel ABS. It’s actually the third-most affordable Dual-channel ABS-equipped motorcycle in India. Powering the Dominar 400 is a 373.3-cc, single-cylinder, fuel-injected motor that’s based on the KTM 390 Duke’s engine. For the Dominar, this engine outputs 35 bhp of maximum power and 35 Nm of peak torque.